These 90-minute video services are conducted by Pastor D. A. Waite, Th.D., Ph.D., with 45-minutes of verse-by-verse expository preaching & teaching from the N.T. You can go to www.BibleForToday.org and see and hear (by streaming video) verse by verse preaching from Romans through Revelation 24/7. The pianist is Mr. Richard Carroll, the soloist is Mrs. Yvonne S. Waite, and the engineer is Daniel S. Waite. Each Sunday, at 1:30 p.m. to 2:30 p.m. we have a N.T. Bible Book discussion study verse by verse with E-mail for questions and comments at Questions@BFTBC.org or call 856-261-9018. You are welcome to join us each Sunday at the Bible For Today Baptist Church for a LIVE video webcast of our church service. Feel free to send us any feedback and we hope you'll join with us! Join us each Sunday and Thursday for a live video webcast! Posted by: Bible For Today Baptist Church | more..
Plan to tune into this final message of the KJB conference in Princeton, NJ. 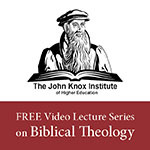 The topic will be the King James Bible's Superior Theology. Listen to the meetings from Straightway Baptist Church, Princeton, NJ. The subject will be the Superior Translation Technique of the King James Bible. Jjoin us Friday, January 11, at 10:30 a.m. for KJB's Superior Translators, Princeton, NJ. The modern version translators are far inferior to those of the KJB.